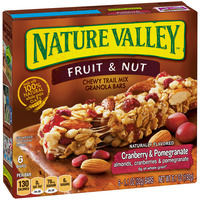 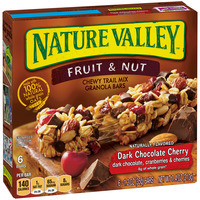 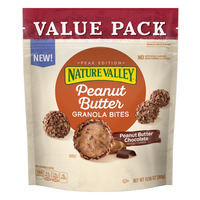 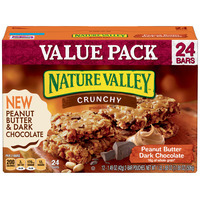 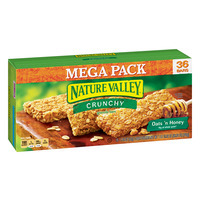 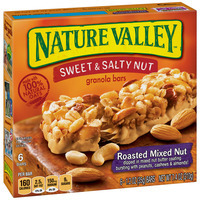 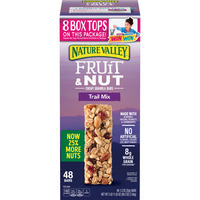 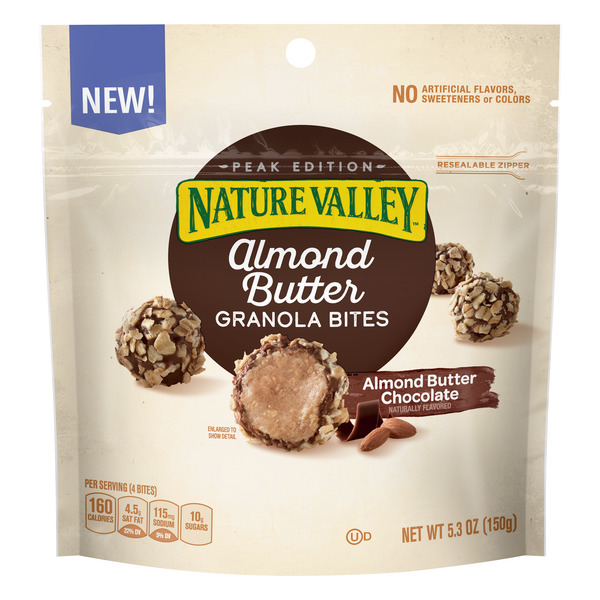 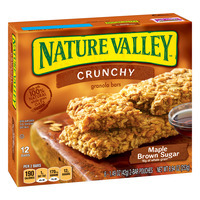 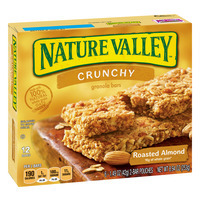 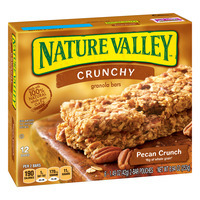 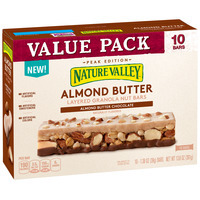 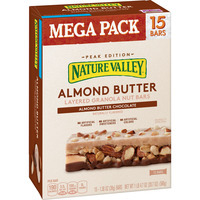 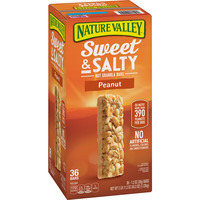 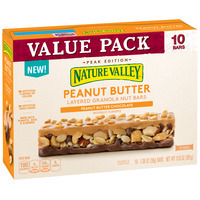 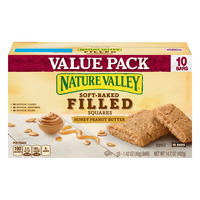 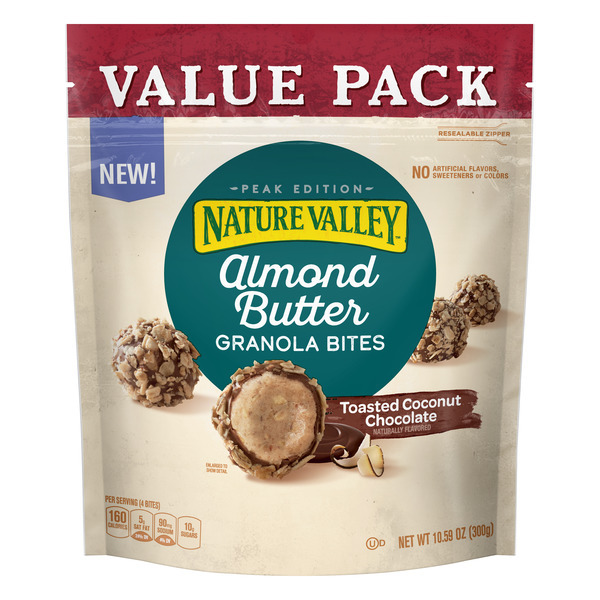 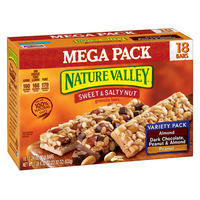 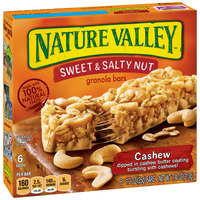 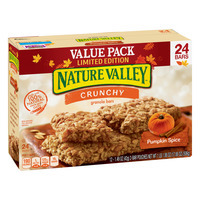 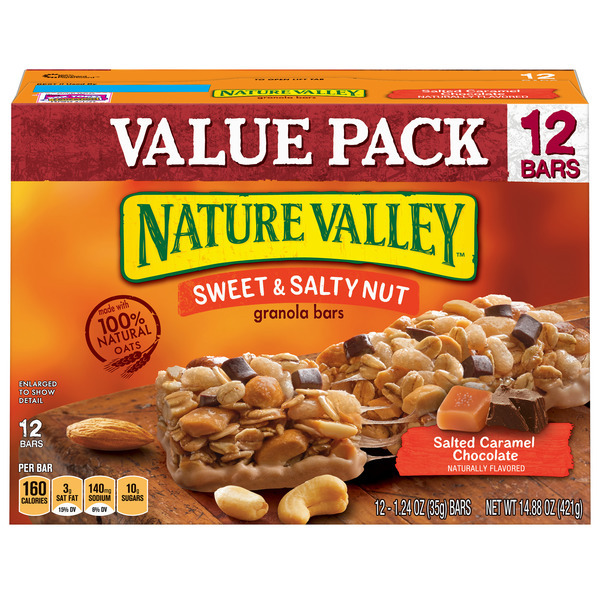 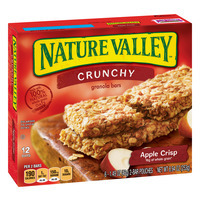 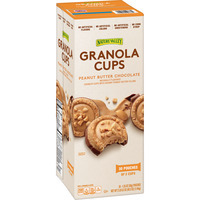 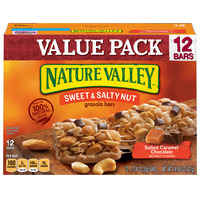 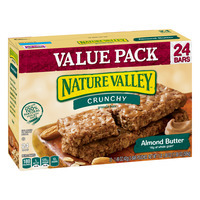 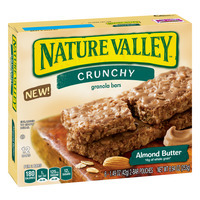 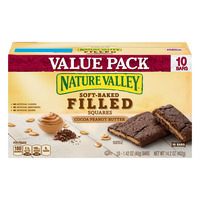 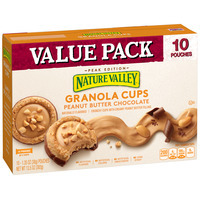 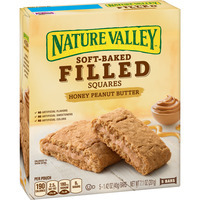 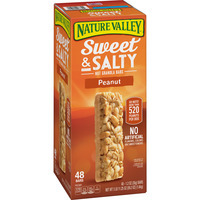 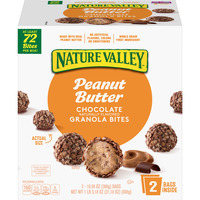 Nature Valley Granola Bars; Throw Two Into Your Traveling Pack! 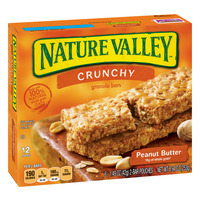 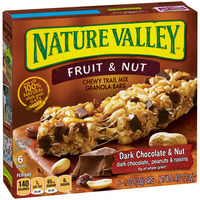 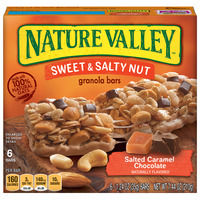 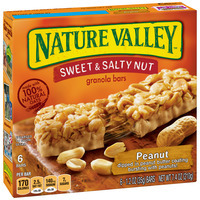 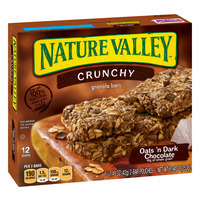 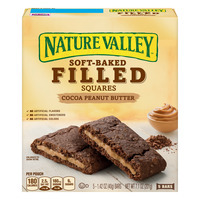 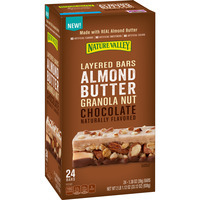 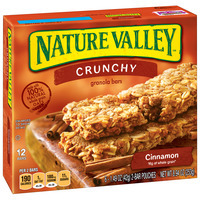 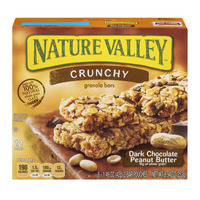 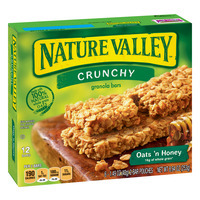 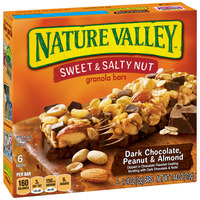 Nature Valley Granola Bars! 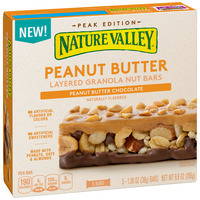 What can you say? 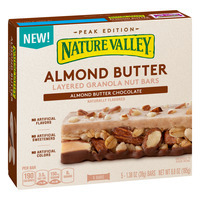 Tight energy and heavy on the oats and nuts; this bar is legendary! 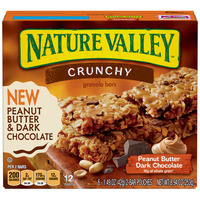 Chewy, Crunchy, Bites and Nuts. 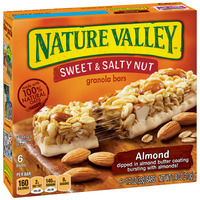 Laying down on the floor horizontal, this product is so good! 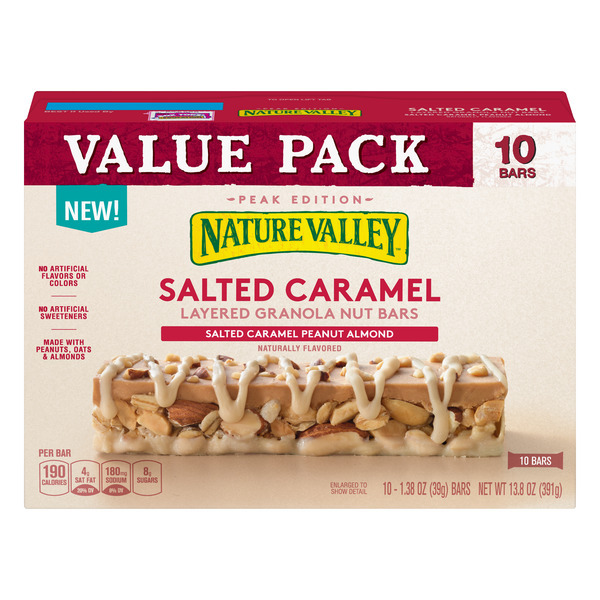 "Per Bar: 160 Calories, 2.5g Sat Fat, 140mg Sodium, 9g Sugars"
"Per Bar: 160 Calories, 2g Sat Fat, 140mg Sodium, 8g Sugars"
"Per Bar: 160 Calories, 3g Sat Fat, 150mg Sodium, 9g Sugars"
"Per Bar: 160 Calories, 2.5g Sat Fat, 150mg Sodium, 9g Sugars"
"Per Bar: 170 Calories, 2.5g Sat Fat, 140mg Sodium, 7g Sugars"
"Per Bar: 160 Calories, 3g Sat Fat, 140mg Sodium, 10g Sugars"
"Almond, Dark Chocolate, Peanut & Almond And Peanut"
"Per Pouch: 180 Calories, 2.5g Sat Fat, 180mg Sodium, 9g Sugars"
"Per Pouch: 190 Calories, 2.5g Sat Fat, 180mg Sodium, 9g Sugars"
"Per 2 Bars: 190 Calories, 1g Sat Fat, 170mg Sodium, 11g Sugars"
"Per 2 Bars: 190 Calories, 1g Sat Fat, 180mg Sodium, 11g Sugars"
"Per Bar: 190 Calories, 1g Sat Fat, 125mg Sodium, 10g Sugars"
"Per 2 Bars: 190 Calories, 1.5g Sat Fat, 180mg Sodium, 12g Sugars"
"Per Bar: 200 Calories, 2g Sat Fat, 170mg Sodium, 12g Sugars"
"Per Bar: 190 Calories, 1.5g Sat Fat, 150mg Sodium, 12g Sugars"
"Per 2 Bars: 190 Calories, 1g Sat Fat, 170mg Sodium, 12g Sugars"
"Per 2 Bars: 190 Calories, 1g Sat Fat, 150mg Sodium, 10g Sugars"
"Per 2 Bars: 180 Calories, 1g Sat Fat, 125mg Sodium, 12g Sugars"
"Per Bar: 180 Calories, 1g Sat Fat, 125mg Sodium, 12g Sugars"
"Per Bar: 190 Calories, 4g Sat Fat, 150mg Sodium, 9g Sugars"